One of the many reasons why most people prefer to shop online from U.S.A stores in Kenya is because products are fairly priced, if not cheap AND HIGH QUALITY. This is true, as most of the retailers in Kenya, purchase their products online then resell them at high prices. Most have been using Kentex Cargo Air Shipping. Wouldn’t it be wonderful if you were able to purchase items online just like most of the merchants do, at very affordable prices? I’m sure it would. Keep reading! Some of the most popular U.S websites for shopping online are eBay and Amazon and also other we have mentioned here. A few years back, online shopping was a difficult task and a bit intimidating but things have changed over time. Nowadays, to purchase any item online, particularly from U.S.A stores, is as simple as a-b-c-d. All you need to shop is just 2 things. Reliable courier to deliver your items to your home or office. As long as you are of legal age, 18, and have a national ID, getting a prepaid debit card is not so difficult. A few years back, there was no prepaid debit cards, and having a credit card in Kenya was left for the wealthy and affluent, as credit cards was associated with people who have lots of money or employed with stable income, for that matter. Basically, the way most credit cards work is that you use the card according to the limit you have set, then at the end of the month, or a certain agreed time one is billed to pay for their use. This made getting a credit card not easy, as one had to be properly vetted and prove that they have a stable income. This mode of spending money is not convenient for most Kenyans or let’s say preferred, as one would end up using the card making purchases only to cry painfully when it comes to paying the bill at the end of the month. The idea of “buy now, pay later” doesn’t sound as good as most credit card providers would put it. However, with the introduction of prepaid debit cards, anyone can have access a quick way to shop online. 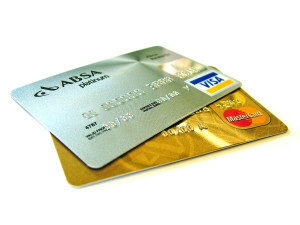 Read our post on prepaid debit cards to learn more. Once you have a prepaid debit card, one needs to have an address where you can receive items or have them delivered. Like most Kenyans, who have shopped online before, a few years back, the most popular way, if not the only way, to receive your items was only through the Post Office. Many people still do, up to date. Though, if one prefers receiving via postal address, one needs to apply for a postal address at the post office of convenience. A postal address, nowadays, is quite easy to acquire as most people don’t use them much, hence they are widely available. A postal address, currently, costs about Kshs.2320 (VAT Inclusive) to apply and Kshs. 500 one off payment for deposit keys, after which, one would be required to pay subsequently about Kshs. 2,320 annually, to maintain. Those prices refer to individual post office boxes, as corporate post office boxes have different pricing, currently about an annual fee Kes. 6,960 (VAT Inclusive) and Kes. 500 one off payment deposit of keys. My first time shopping online, I purchased a mobile phone from eBay and received via postal address in about about a month’s time, so people do receive their purchases. You must be wondering “How do they fit large items in the postal box”? Items are not put directly in one’s mailbox. When your item arrives by post, you would find a yellow card notifying you that your item has arrived and that you need to go the Post office (City Square) to pick your item. Once in the post office, you show the card, pay a postal fee of about Kshs. 150 and sign off for your item. Depending also on the value of item you have received, it may attract heavy taxes and custom duty. Most of the time, they may require you to open the package in front of them, if it looks “big”, which basically violates your privacy. They are meant to rely on the custom declaration document attached on the package to determine, if it is dutiable but that rarely happens. Also, you can not guarantee 100% the safety of receiving items by postal address. But is it the cheapest or best way to receive your items from the U.S.A? Read on to find out why it MAY NOT be later in this post. Another alternative way, is to receive your items by courier services such as DHL, Fedex, UPS, among others. One just needs to put the home address where the item would be delivered. Though this is not a popular method in Kenya, as we don’t have very well defined physical addresses like most Western countries. Although, these couriers are well renowned all over the world, you have to pay a tidy sum to use their shipping services, not to mention, any taxes and customs that your package may attract. The average shipping cost for an item from U.S.A to Kenya below a kilo, regardless whether it’s something small or light like a phone or letter, is about $100 (Kshs. 10,200). This can be prohibitive for large items. But again, is it the cheapest or best way to receive your items from the U.S.A? The next section will probably give you be the best answer or solution that you may be looking for. If not the best alternative from the above modes mentioned, KenTex Cargo is one of the best ways to receive your items from U.S.A at an affordable rate. Charges start from as low Kshs. 1,500 only. The above alternatives mentioned, only work if the U.S seller ships internationally, which may not be the case with most U.S retailers. But with KenTex Cargo, you can now get a US shipping address to use to shop from U.S stores. Yeah, it’s possible to have one even if you live in Kenya. KenTex Cargo allows you to acquire a US shipping address, and then pay for the service. When shopping online, all you need to use our U.S address and have items shipped to us. We then, deliver to you in Kenya in a week’s time without breaking your back. You can learn more about how KenTex Cargo works and how we can make you dream of shopping in the U.S. A a reality, here. If you have any questions or comments on this, post them below.